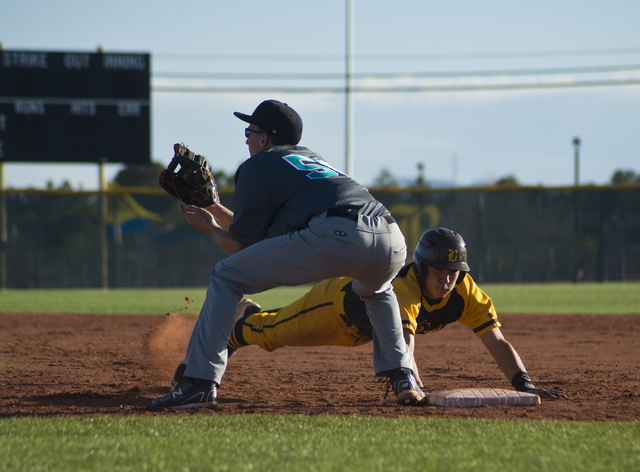 Danny Ruiz spun a four-hit shutout, and the Bonanza baseball team rolled to an 8-0 victory over visiting Silverado on Friday in the Bengal Varsity Tournament. 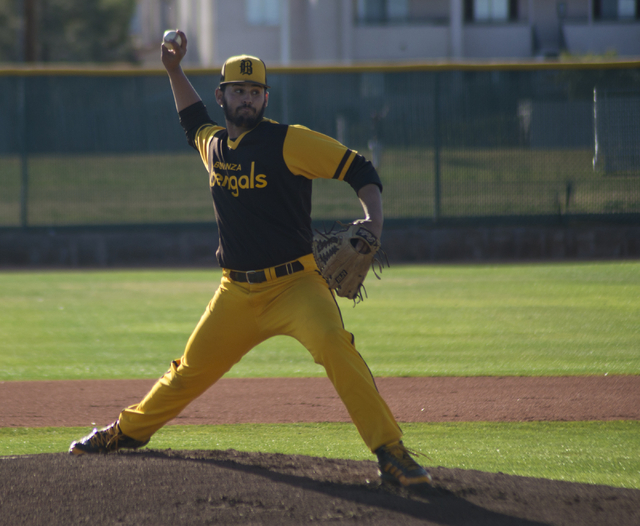 With his team batting around in the bottom of the fifth inning, Bonanza pitcher Danny Ruiz headed to the bullpen and started throwing in an effort to stay loose. 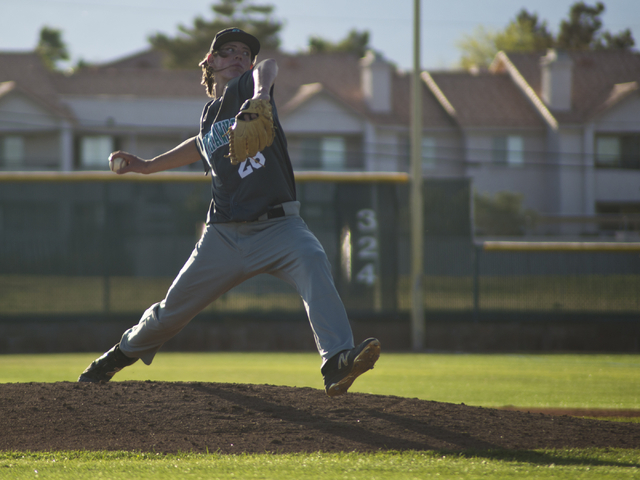 But even the long inning couldn’t cool off the Bengals’ junior right-hander. 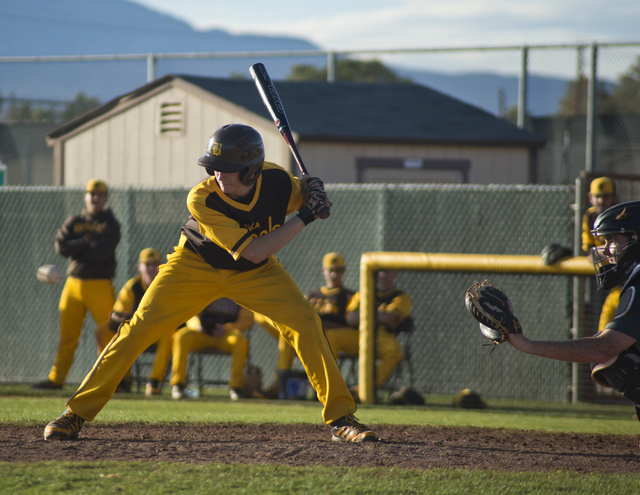 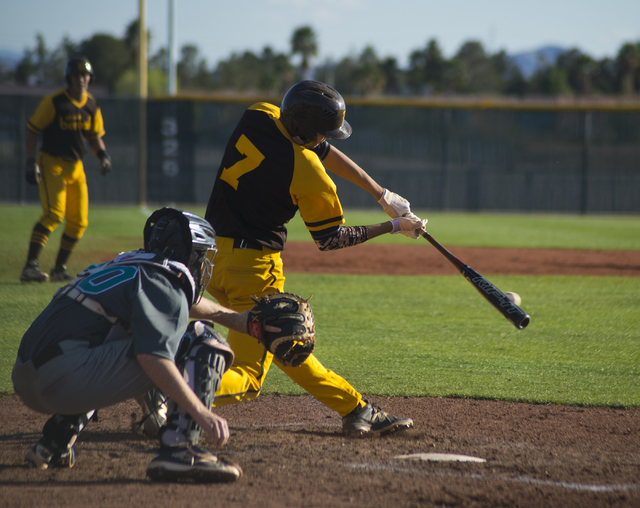 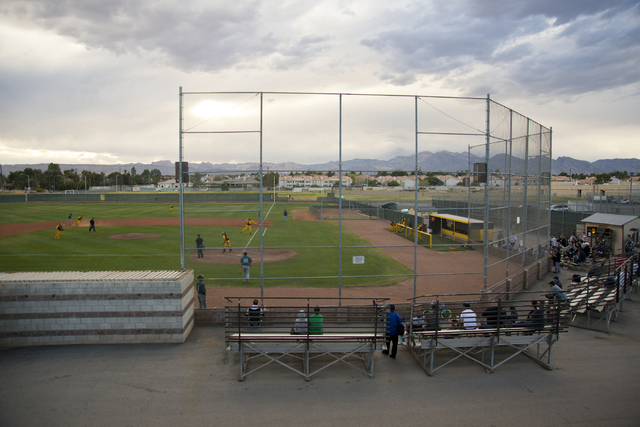 Ruiz spun a four-hit shutout, and the Bonanza baseball team rolled to an 8-0 victory over visiting Silverado on Friday in the Bengal Varsity Tournament. 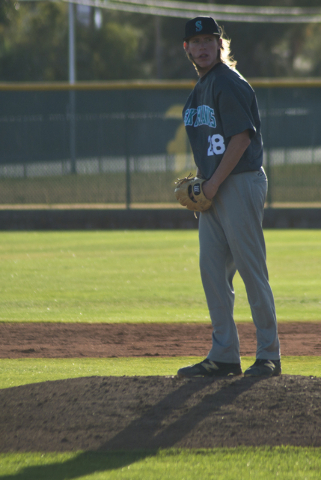 Ruiz gave up two singles in the first inning but allowed only four baserunners the rest of the way. 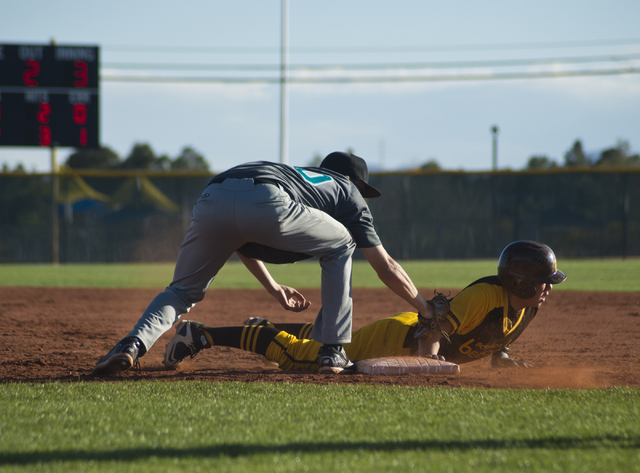 He retired nine consecutive batters at one point and also got plenty of help from his defense. 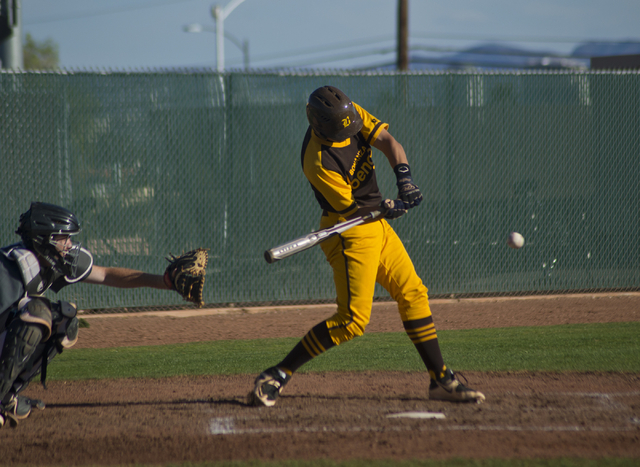 Right fielder Chris Dunn made a diving catch in the gap to close out the second inning, and Jay DeSoto knocked down Zane Johnson’s hard-hit ball to start a 5-4-3 double play that ended a Silverado threat in the top of the fifth. 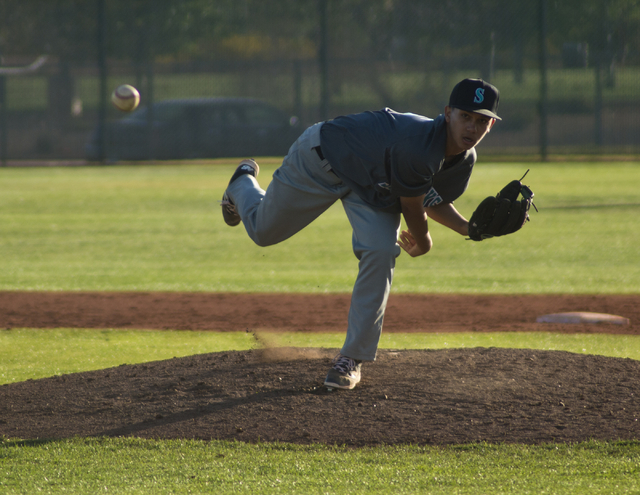 Ruiz finished with four strikeouts and threw 55 of his 80 pitches for strikes while inducing 14 ground-ball outs. 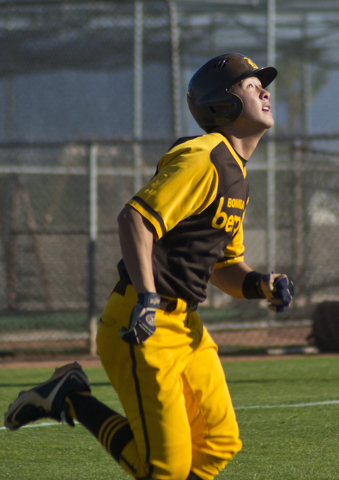 Micah Higa went 2-for-3 with a double and scored three runs, and Corey Oswald was 2-for-3 with a run for the Bengals (2-0). 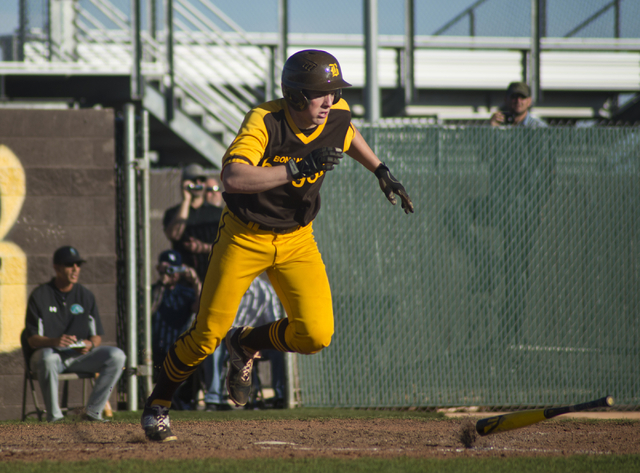 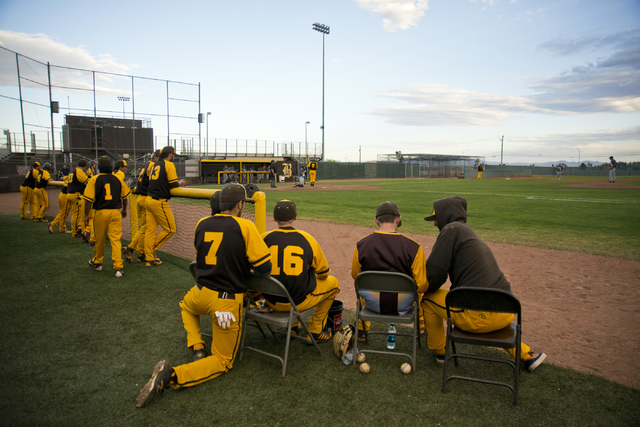 Dunn doubled and scored in the first inning and added a run-scoring triple as part of Bonanza’s five-run fifth inning with a handful of professional scouts in attendance to watch the New Mexico signee. 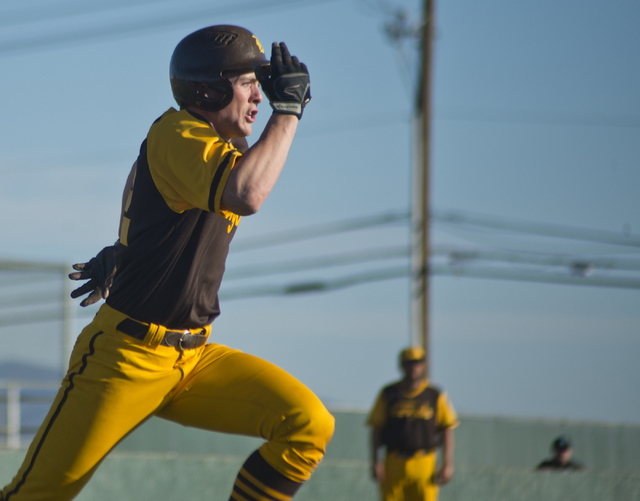 Eric Schultz finished 2-for-4 with an RBI double, and Torren Brozovich added a run-scoring single. 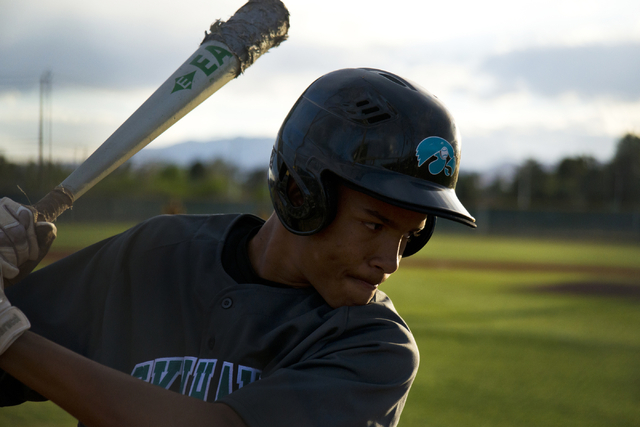 Michael Camburn and Payton Ballard each went 2-for-3 for Silverado (0-2).